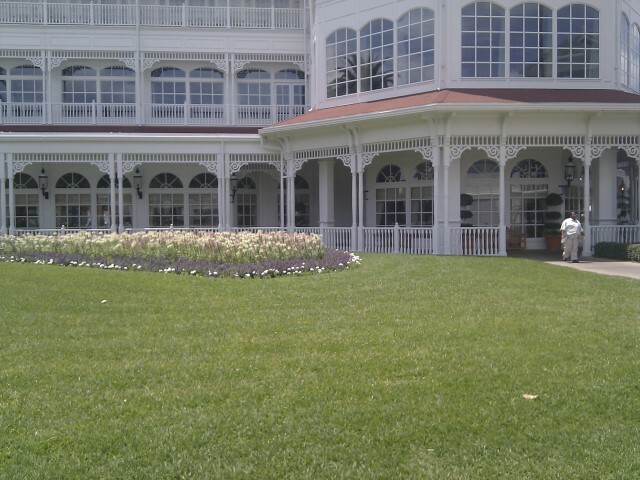 When we are in Florida we always make at least one stop at the Grand Floridian Resort. 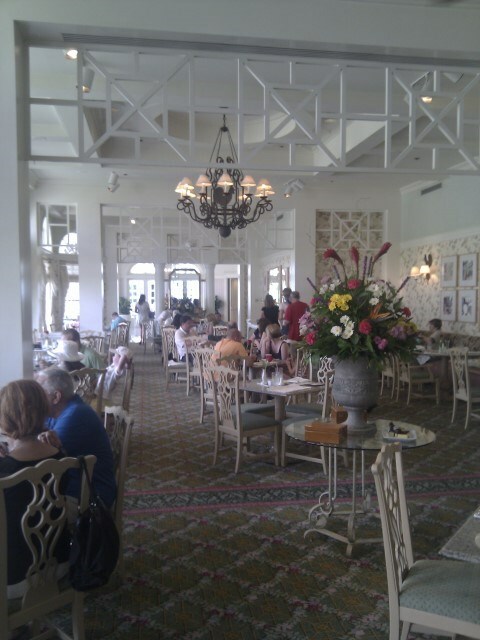 It’s a great place to just wander around but we always try to dine at one of Disney World’s most underrated restaurants. It’s a real hidden gem and just does not get reviewed or commented on in all of the normal places that people seek information. 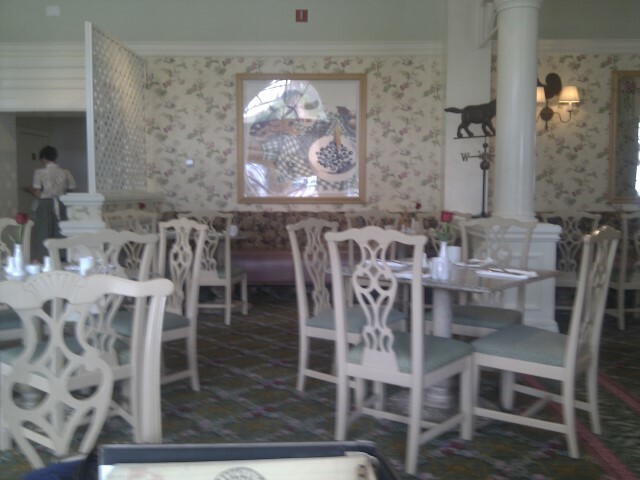 Having said that the ‘Disney Dining Plan’ has for me caused what was a quite restaurant to become fairly busy. Before this option was available you could turn up any time and get a table, now if you plan to eat at a busy time then you need to call ahead and get a reservation. 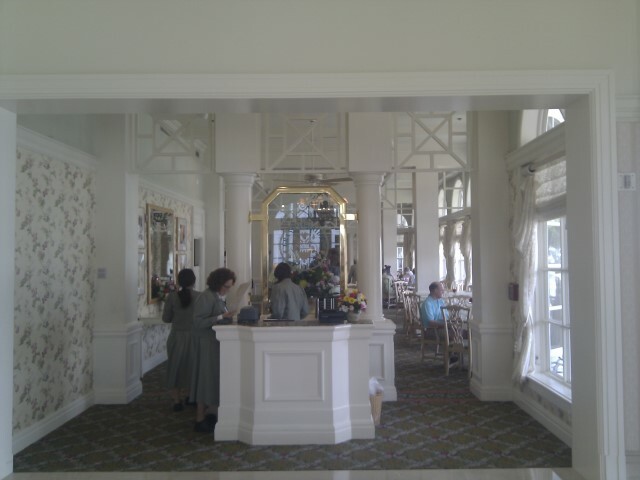 The Grand Floridian Cafe is located in the main building of the hotel; it is through the back of the lobby and down a corridor to your left. As this is the main exit when you are going toward the marina, Narcoossee’s or the pool area you may have passed it in the past. The Cafe entrance is very under stated, as you will see from the photos. 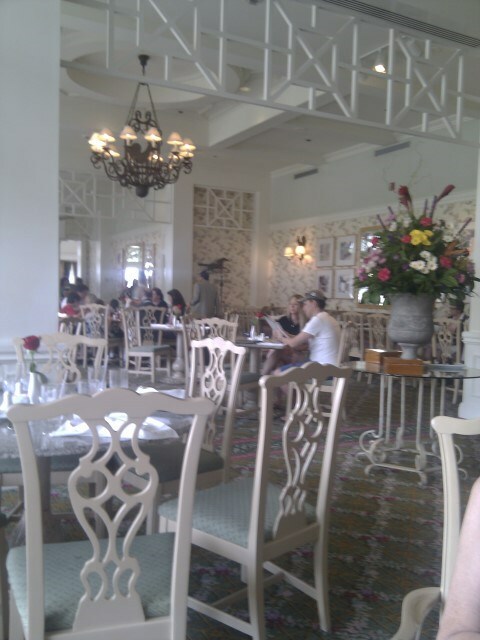 It has room for two hosts with the restaurant spreads out down a long narrow room behind them. At the end of this section it opens out into a large octagonal room. 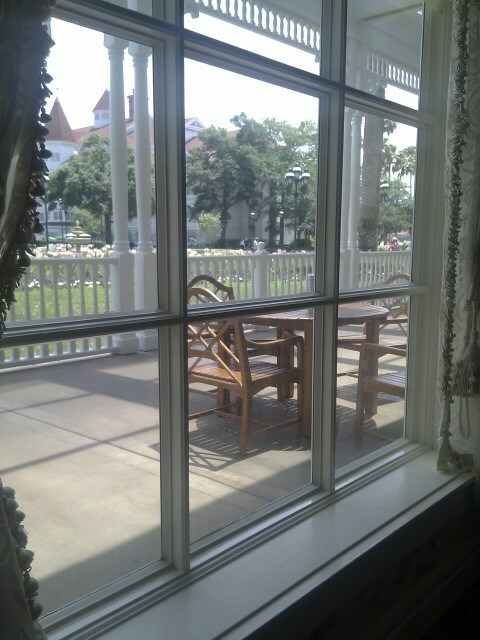 Best seating locations are, in my view, by the windows. However given the shape of the whole restaurant there really are no bad tables. 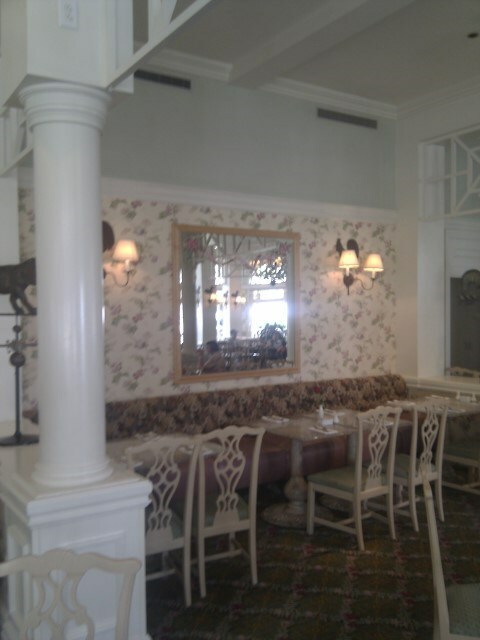 The photos of the restaurant will give you a better idea of the decoration but it can best be described as ‘old style’ Florida. What I mean by this is that there are light coloured woods everywhere and all the decoration is in muted shades of pink, mauve, and sea green. Even the interesting and different food themed water colours are in these shades and can be found throughout the restaurant. 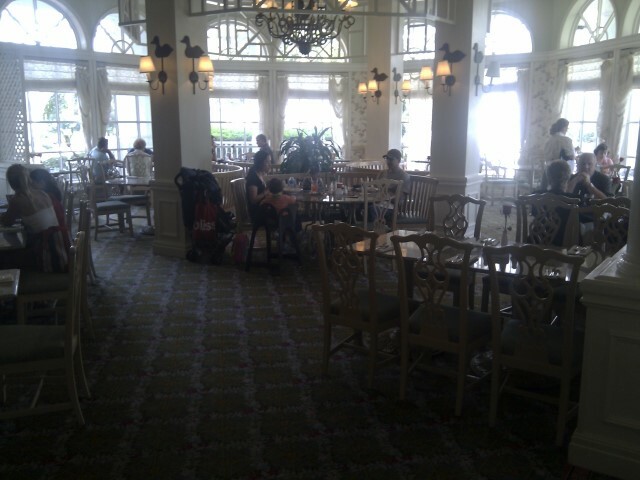 The Grand Floridian Cafe is what Disney calls a moderately priced restaurant, but remember this is Disney’s moderate and you are paying for the location as well as the food. 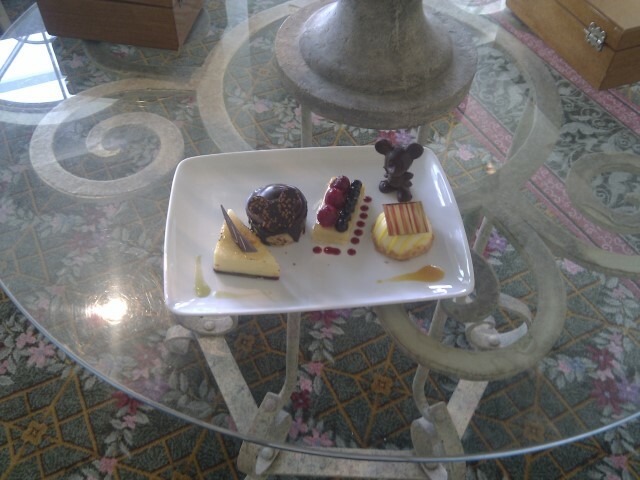 You do not get characters coming round or anything else, just a good atmosphere and good food. This is all topped off with really large windows all down one side of the restaurant making the whole room light and airy. 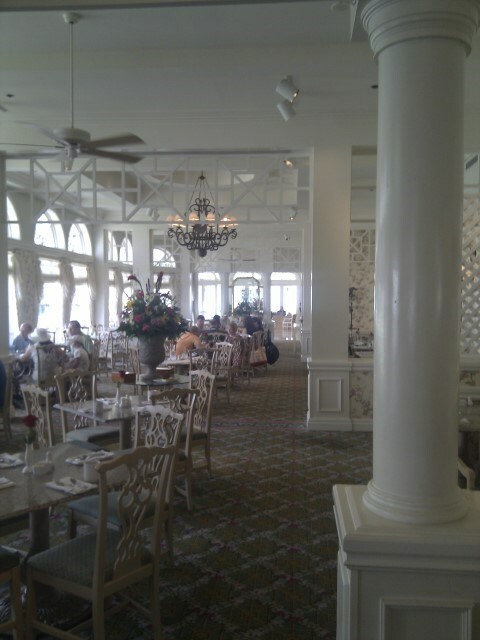 Overall, it’s a very nice place to have a quiet meal in the middle of the day, best of all you can get here from the Magic Kingdom via the monorail or resort boats very quickly. Viewed 1683 times since 9 June 2015.